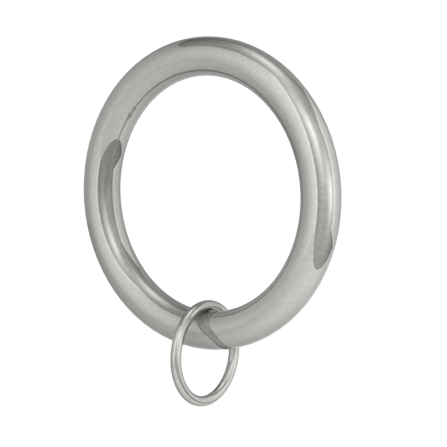 The original classic ring formed from steel wire, with welded seams and permanent ring eye detail. The weight and handle of this item reveals its quality and heritage. 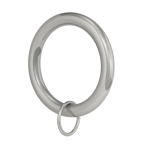 Being unlined, the classic ring produces the reassuring, purist sound of steel on steel as the curtains move.